Would you rather consider making some Dollars ($) from online gambling? Or will the U.S government continually place a ban on another source of tax related revenue and economic advancement? Online gambling has been a controversial issue over its legalization due to the adverse effects it poses to the U.S citizens. Meanwhile, lots of money would have been an added advantage to its citizens and the government’s economy. It’s of great news that some parts of the United States have legalized gambling, such as Atlanta, Las Vegas, many other Indian Reservations, and many other places to mention, but a few. However, it’s illegal in some other parts. Because many U.S citizens find it convenient to wager their money, regulations can be placed to ensure the security of the citizens is taken into consideration, while online gambling is legalized. The use of legal and regulated gambling websites will help streamline the problems associated with online gambling. 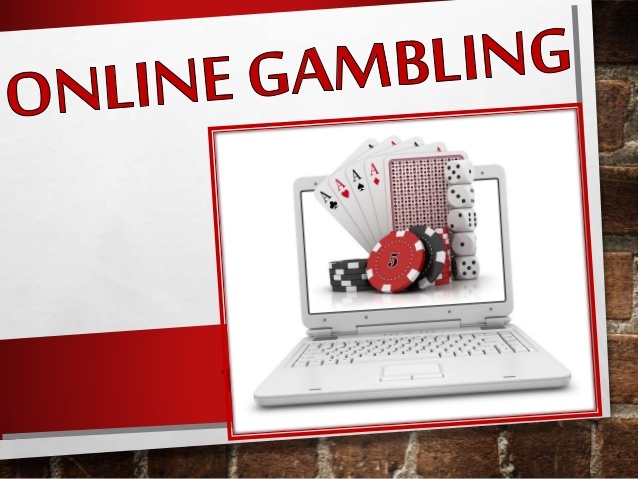 Government regulated websites will help promote the success of gambling activities on the Internet. (“Forbes”) Many people that are faced with gambling problems are those who are not using regulated and monitored websites by the authorities. This would make them encounter some fraudulent activities, and thereby become victims of scams. 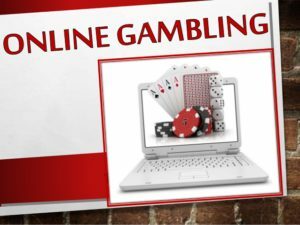 Many people solely depend on playing online gambling and casino to make thousands of dollars, but those who use the current system that has not been regulated by authority will have the tendency of loosing a very large amount of money. Online gambling will enhance the growth of the economy when it is increasingly accepted and legalized. A post by Horridge 2015 on the casino website, shows that the economy is not hurt from gambling activities. A look into the casino shows that casino trades money, they do not deal with goods and services, and this can cause any kind of stimulus to the economy. Tin view of this, casinos boost the economy of any nation. In the same vein, casinos help the economy. This can be related to how people travel to different locations to play these games, and promoting tourism to that part of the world where it takes place. Studies have shown that as of 1996, about 29.6 million travelers visited Las Vegas, and about 87% of those who visited Las Vegas gambled that same year. The study also shows that of all the people who gambled that year, the average gambling budget was about $580.90, and those who gambled actually took about four hours in their day to perform this activity. Many other statistics have shown that the interests of gambling had contributed about $4.5 million to political candidates and parties at the federal level since 1991. (“Frontline”) Therefore, these analyses have been able to show that gambling will promote tourism and thus increase the economics of a nation. Playing games on the Internet interests anyone even if there are no monetary values placed on it. For example, when poker is played on Facebook, points are obtained, another game played via smartphones and competition (point) is shared via Facebook include Candy Crush Saga, Subway Surf, and many others. The psychology of sharing these points can impress on the mind to gamble through it. Mark Griffiths says “the social networking sites are provided with the potentials to make gambling behavior a normal part of a man,and also part of the consumption patterns of a non-gambling leisure activity” (Griffiths, 2014) The behavioral pattern of a person is connected to his interests, and gambling may change a person’s social understanding, particularly among youths. Young people of today are really tech-savvy, they do not have fears for technology and they trust the new prevalent technology. These changes in the world via social networking sites such as Facebook has changed the thoughts of people and then motivate them to become gamblers since some money could be made from it. Therefore, why should gambling be prevented from being legalized when it has become so existential in so many parts of the world, and even in the United States? Oppositions have considered gambling based on state-sponsored lotteries to benefit people with low income. According to Gale 2014, the government is made to raise money needed or social services without inflating taxes. 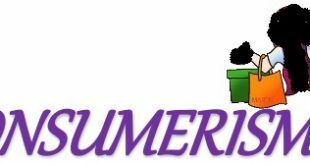 For the fact that some lotteries have to benefit low income people, it is the therefore the responsibility a government to take are of its citizens. The government does not provide any kind of incentives to her citizen, providing lotteries to benefit people who are not financially buoyant is a very good idea. Those involved could balance their financial stability from this offer from the States, and the States can obtain their taxes and revenues from other agencies and private gambling. Although people with low income may fall into the tendency of spending much to get rich, but life is full of risks, even the businesses we find ourselves can amount to a level of risk and loss, so this is not a good reason not to participate in and legalize gambling activities. Conclusively, the legalization has more benefits than the seen potential problems that may be associated, all it requires is to be correctly implemented. It can assist the economy of a state effectively and progress the total revenue in the state. Many states will continually legalize gambling since there are other states in the U.S that legalized the activity. What is needed is a strong rules and regulation to be put in place to guide the gaming activities and the federal government can therefore switch their position to accepting the legalization of online gambling. Intuitively, whether online gambling is legalized or not, gamblers will always gamble. Bell, Tom. “Internet Gambling: Prohibition v. Legalization.” Cato Institute. 21 May 1998. Web. 11 Dec. 2015. <http://www.cato.org/publications/congressional-testimony/internet-gambling-prohibition-v-legalization>. “Benefits of Legalized Gambling; The Economic To The Social.” Casinoorg Blog. 29 July 2015. Web. 11 Dec. 2015. <https://www.casino.org/blog/gambling-and-the-law-the-good-the-bad-and-the-ridiculous/>. “Gambling.” Gale. 2014. Web. 11 Dec. 2015. <http://ic.galegroup.com/ic/ovic/ReferenceDetailsPage/DocumentToolsPortletWindow?displayGroupName=Reference&jsid=7e274d83e73dc65fdb43ddf2f7b5588f&action=2&catId=GALE|00000000LVWO&documentId=GALE|PC3021900067&u=fcpslhs&zid=5c861c8026c6a44e4513f6d46defe4>. “Gambling Facts & Stats.” Frontline. PBS, 1996. Web. 11 Dec. 2015. <http://www.pbs.org/wgbh/pages/frontline/shows/gamble/etc/facts.html>. Griffiths, Mark. “How Is Technology Innovation Impacting Gambling Addiction?” How Is Technology Innovation Impacting Gambling Addiction? 2014. Web. 11 Dec. 2015. <http://www.rehabs.com/pro-talk-articles/technologys-impact-on-gambling-addiction/>. Horridge, Kevin. “Benefits of Legalized Gambling; The Economic To The Social.” Casinoorg Blog. 29 July 2015. Web. 11 Dec. 2015. <https://www.casino.org/blog/gambling-and-the-law-the-good-the-bad-and-the-ridiculous/>. “Online Gambling Would Benefit from Better Regulation.” Online Gambling Would Benefit from Better Regulation. 2015. Web. 11 Dec. 2015. <http://phys.org/news/2015-06-online-gambling-benefit.html>. “Research & Commentary: Online Gambling Legalization.” Research & Commentary: Online Gambling Legalization. 2013. Web. 11 Dec. 2015. <https://www.heartland.org/policy-documents/research-commentary-online-gambling-legalization>. Rousu, Matt. Forbes. Forbes Magazine, 2013. Web. 11 Dec. 2015. <http://www.forbes.com/sites/realspin/2013/06/25/its-time-for-the-federal-government-to-legalize-internet-gambling/>. “Why It Should Be Legal To Gamble Online.” Pros Of Legal Online Gambling. 2013. Web. 11 Dec. 2015. <http://www.legalonlinegamblingsites.com/pros-of-legal-online-gambling.html>.